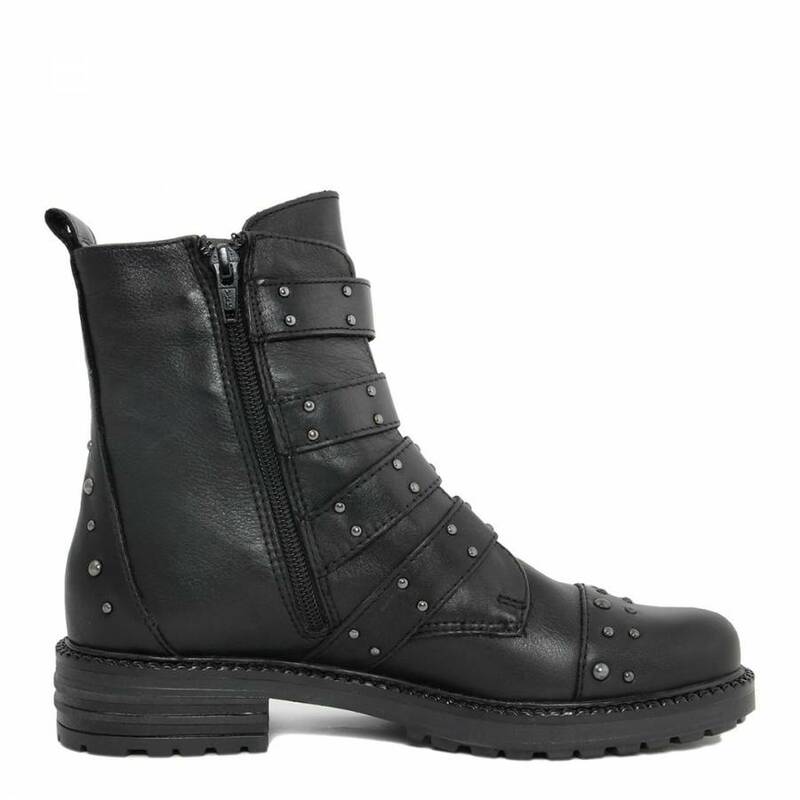 Crafted from soft premium leather with a textured feel and look. 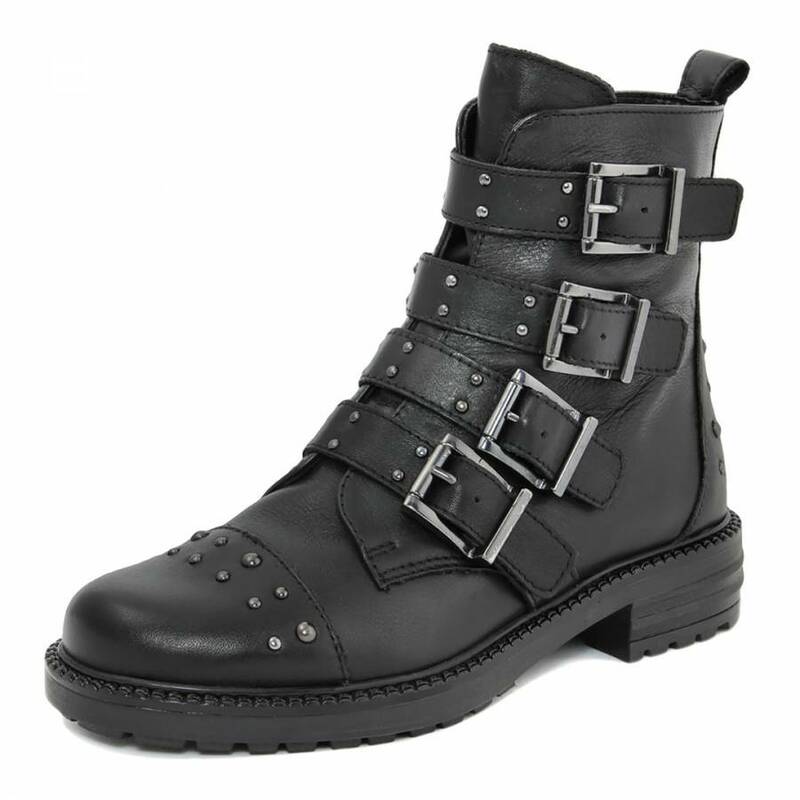 Featuring multiple buckle strap fastening details going across boot, with stud detailing featured at heel and toe for the ultimate biker look. 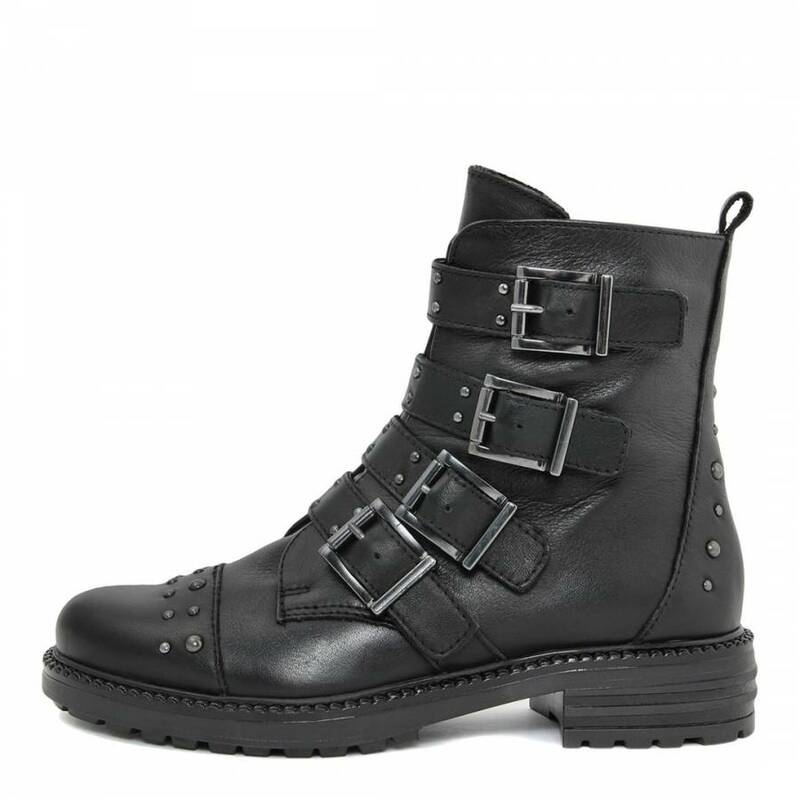 Block heel with rubber cleated sole for extra grip. 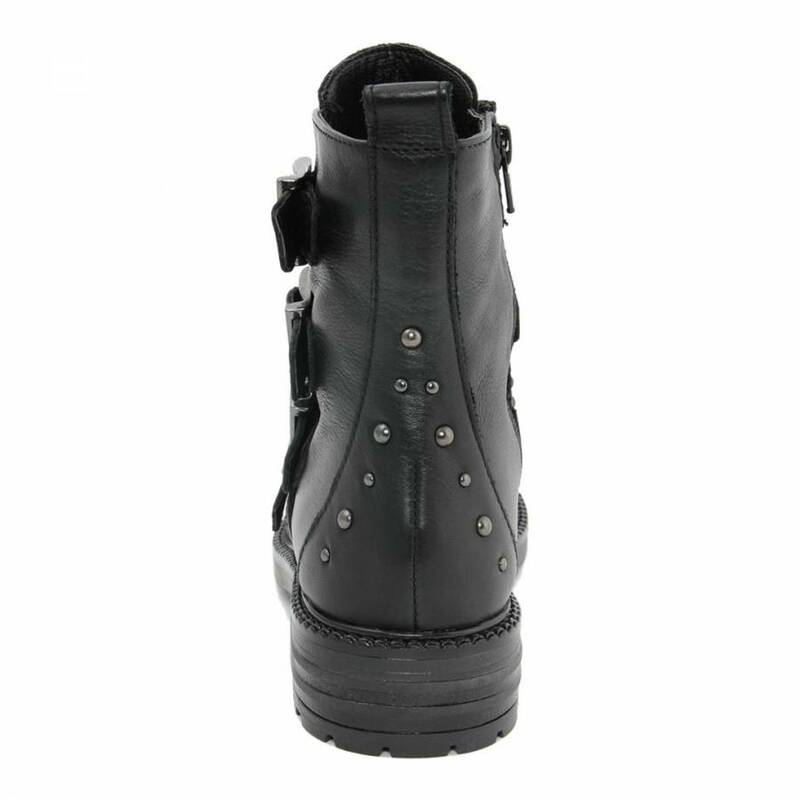 Pull tab at back for an easy slip on fit.